Built around real group interactions, Team Writing is a flexible, hybrid resource that pairs videos with a brief print book. Based on research revealing major problems at all stages of peer group work, the book shows how written communication can help technical writing students contribute to team projects in a meaningful way — and provides strategies for dealing with the breakdowns that can derail a project’s success. Numerous examples highlight the kind of written communication that helps teams thrive. Short, Web-based videos depict student teams in action, going beyond the textbook to show what real collaboration looks and sounds like. 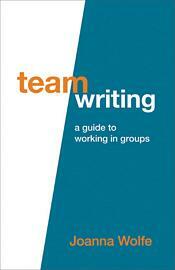 "This is a concise, well-designed resource for guiding students through effective, even enjoyable group work, preparing them for the kind of team projects they will face in the workforce."